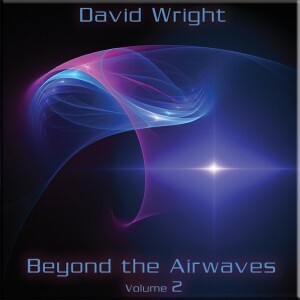 David Wright gives an in depth interview with Robert Steven Silverstein of mwe3. 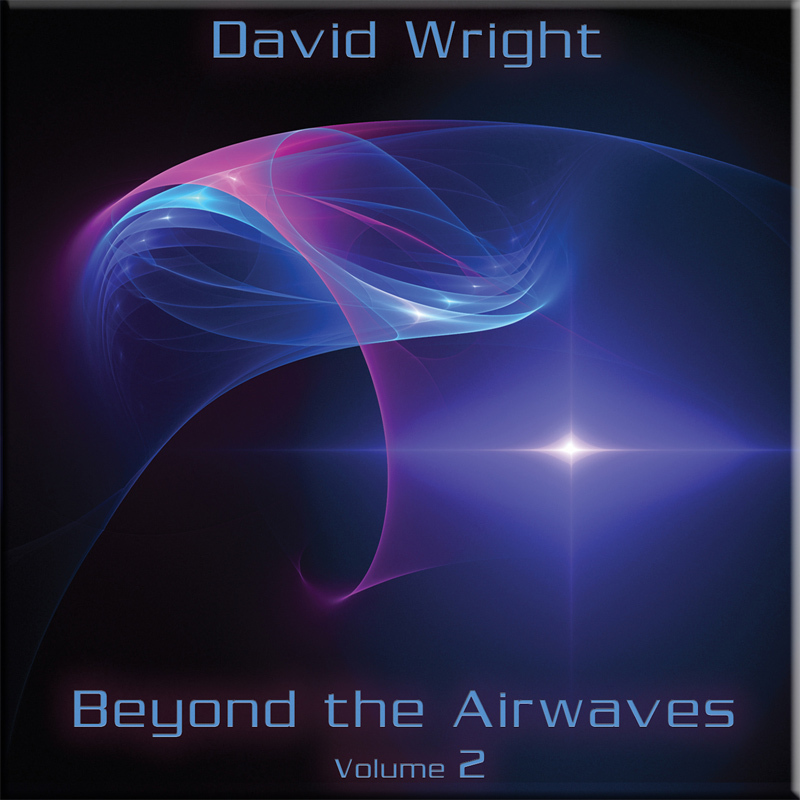 The veteran electronic synth rock maestro talks about his life, his solo music, Code Indigo, Callisto and his AD Music record label now in its 26th year. First, I’ d like to know something about your formative years. Were you born in a music family? I read you lived for some time in the far east. Where and why? What memory do you have of that time? Did you learn to play any instrument when you were a child? When did you start to get in confidence with music? And what type of music? When did you start to think of being a professional musician? In what form? Playing what? In a band, or as a soloist artist? I was born in England on October 24th 1953. My father was a Naval Officer, hence my years abroad. I inherited my love of music through my mother’s side of the family. My Mother was and still is, at the grand age of 80, a superb pianist. It’s surprising to me now that I never actually learned a musical instrument as a child. Nonetheless, I developed a great love of music during the 60’s when I lived in the Far East, but particularly while in Singapore between 1967 and 1970. It was during this time I probably subconsciously developed my “Eastern” influence that was to surface in my music decades later. This was a great time and I have wonderfully warm memories of that era. Pop and rock music was arguably at its zenith, progressive music was just beginning. We were young and optimistic of the future in so many ways. Indeed, the future seemed so exciting with boundless possibilities, as though we were all embarking on a journey, which of course we were; our journey into adulthood and life. It’s a shame that now we’re “here” in that future, it’s not quite as fantastic as we hoped and dreamed it would be! Anyway, I first started playing music as part of a rock band during 1969. I was on drums and it would be a compliment to say that I was an “adequate” drummer. It was 4 piece band covering Canned Heat, Credence Clearwater and Cream rock music. Nothing too serious though and I don’t even remember the bands name, it was that memorable. When I eventually returned to England in 1970 I considered a career in music, but my main priority was getting a job to pay the bills and so I drifted into a conventional 9-5 lifestyle that lead to a career in the Health Service and marriage to my first, late wife ‘Tricia in 1972. I read that a family tragedy led you to start again a career in music. Why had you decided to stop playing? But in 1982, inspired on by the aforementioned luminaries, I started playing keyboards and composing music again. I never received formal training as a musician, so I taught myself the basics and learned as I went along. I have been blessed with good friends in the music industry and one friend in particular, who sadly died a few years ago, was John Harris. John owned a studio on the south coast of England and he helped me in many ways, including practical advise on sound recording. My wife ‘Tricia was very supportive of my music, but she was in poor health for many years, so I couldn’t leave the security of my NHS career to pursue an unpredictable career in music. Her death of cancer on 1st January 1989 changed my life forever. I was a 36 year old single parent and suddenly realized that there was, indeed is, much more to life than a career and money. So I made the decision to give up my career and lead the unconventional life of a musician. This was not entirely a selfish decision. Financially I was in a position to do it, but it also meant I could spend more time with my young son, Steven. I also know that it is what Tricia would have wanted me to do. I know that Klaus Schulze helped you to release your first works after listening a demo tape of yours. Can you tell me something more about that experience and meeting? It was actually KD Mueller, Klaus’s Manager. I sent him a copy of “Reflections”, music I had written following ‘Tricia’s death. Mueller famously said; “Reflections is the only demo I liked and still like”. A great compliment indeed. So POEM Musikverlag published all my works until 1995 when I signed a new deal with Notting Hill Music Publishers. KD Mueller has become a good friend and someone whose opinion and music business advise I always listen to. I have met Klaus Schulze on several occasions. I actually wrote to him in the 1970’s so it was a great thrill 25 years later to be performing at the same events with him and sharing musical experiences over a drink after concerts. Klaus Schulze is one of those people in the industry for whom I have enormous respect; I love his music and his single-mindedness in pursuing his own musical odyssey. He’s also a really nice man. Klaus Schulze, together with Tangerine Dream and Ash Ra Temple, was a pioneer of the famous german cosmic-rock school in the ‘70s. How much did he influence your music and aesthetic taste and conception, together with, I guess, the Canterbury school and the psychedelic wave of Pink Floyd? Klaus Schulze was a huge influence on me, particularly with regards to what could be done with synthesizers. Those people who are familiar with my music will know that I do not sound anything like Klaus, but influences can take many forms, not just musical styles. There is a particular emotional feel to KS works and that is what I have always tried to emulate. There are probably more Tangerine Dream musical influences in my works, particularly TD up to 1990. I have always liked Pink Floyd and Mike Oldfield to, and indeed, any good, emotive instrumental music. I also love the classics. 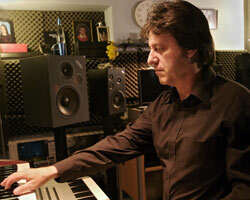 I was also hugely influenced by Brian Wilson of The Beach Boys – yes, Brian Wilson. There is a clever simplicity to a lot of his work and an intense emotional input in every song. So you will begin to see that music to me is very emotional, very personal. There must be an emotive connection for it to work! I find traces of minimalism in your compositions: what do you think about that trend which, according to the founders themselves Steve Reich and Philip Glass, is definitely extinct? It was a trend that probably influenced most EM musicians to one degree or another. I remember listening to Terry Riley years ago and being influenced by the phrasing and repetition in his work, although of course he wasn’t just using electronics. I don’t don’t take much notice of “genres” anymore though – I hate things being pigeonholed! I would like to think that I have developed my own style which encompasses electronic, minimalism, world, jazz tinged elements and ethereal atmospherics. I try to do what other musicians aren’t doing and to do it in my own style. So I guess if I only have traces of a deceased minimalism trend I’m okay, ha ha! But I’m not sure it’s “dead” as such, it has just evolved into something else, it’s incorporated in other styles. Seriously though, I record the music I want to in the way I want. I don’t care about trends or genres. If fans like my music, they’ll like it because they make the emotional connection with what I write. And that’s the whole point! Electronic music constantly follows the evolution of the machines: synthesizers, samplers, sequencers. Are the opportunities given by the machines inspiring for new compositions, or is the method to find a new idea more simply traditional: a melody played at the piano or a chord progressions as a starting spark to build a new tune? Inspiration can come from any of these but for me, melodies and chord progressions are the main beginnings to a musical idea. But not always. Sometimes a great sound or sequence can inspire. Other times it is about an event that leaves an emotional imprint. Generally though, I believe that music is about the musician, not the equipment. Sure, sounds and systems can inspire. But it is the imagination of the composer that brings the music to life allied to how the musician uses the equipment at his or her disposal. But there has been an astonishing technical revolution in music through computers over the last few years which gives the musician access to an incredible range of sounds and technological recording and mastering tools. Some people think that the electronic music is cold just because made by the machines. Which is the trick to give warmth to the electronic music? To make people feel the human touch? There isn’t a simple answer to that question. But I don’t think music is made by machines – it’s made by the musician. The musician defines the music, not his equipment. It’s about good composition that touches the listener and retains the interest. It’s about emotion, and that is something that can’t be learned. It’s something that comes from the soul and communicates thru the music in a way that I can’t begin to explain. It’s about having a balanced sound palette, much like a painters palette of colors where everything is balanced correctly on the canvass with depth and the right light. It’s about putting myself in the music! It’s about understanding that there are many elements to music; e.g. composition, musicality, recording, sound checking, engineering, mastering. The simple truth is that few people outside of serious professional recording have the faintest idea of the time and effort required to make a recording sound “good”. That’s why there is so much rubbish out there! In our western world music is an art-form, but, in many cases, just a form of entertainment. In many developing countries, music is still a huge part of every people’s life, even spiritual. What is your opinion about the evolution of our music conception? I can’t imagine a world without music, can you? How boring and sad life would be without it. I think that the advances in computer technology allied to the internet has opened the preverbal “Pandora’s Box”. Almost anyone with access to a computer can make ‘music’. That’s great, but because we live in an “Instant Fame” society, celebs and their lifestyles are thrust in our faces 24/7 and far too many people, particularly but not exclusively the young, think fame can be achieved. They have no idea what’s involved on so many levels and they are fed the belief that it’s possible to ‘give up the day job’ and become a star. In reality, it’s virtually impossible. I also think that music is being cheapened and its very integrity damaged by the current pop culture, particularly as it’s portrayed by the media and TV shows like The X-Factor. I do have very strong views and opinions on this and I am very concerned about just where music is heading in the 21st Century. In your music the visual element is very important, especially in the live act. Are you releasing a DVD or are you planning any different form of communication in order to put together music and images? I perform regularly at Planetariums. This began in 1997 when I performed two concerts with Jonn Serrie at the London Planetarium, then several in Berlin with Mario Schonwalder & Detlef Keller. Over the years I have also played concerts at The UK National Space Centre and at Jodrell Bank. This type of venue is ideal for this genre of music. The audience can be treated to a great light and graphic show accompanying the music. Electronic music is about connecting the imagination of the artist’s music to the imagination of the listener to provide the score and become the listeners own private soundtrack. AD Music has released a DVD to accompany its ‘Ocean of Light’ compilation, which works quite well. I have no plans currently to release a solo DVD, but there are plans to record a Code Indigo concert for DVD in the next year or so. When Callisto perform we do put on a visual image show with graphic based on the Apple Mac itunes program. The problem with all this is that it can become a bit stale because everyone is now doing it. The idea for Code Indigo is to perform at a big Cathedral with good lighting enhancing the gothic structure of the building, similar to what we did in 1998 at Derby Cathedral. Have you ever worked for the cinema? Would you like to? And, just in case, for what kind of film or for a specific director? No I haven’t and yes I would love to. Frankly, I’d jump at the opportunity to do the score for ANY movie. But, I’d like to do the soundtrack for a Michael Mann film – I do like his style. I’d like you to tell me something about your role as a label manager for AD Music. How is difficult to be a musician and, at the same time, a talent-scout? Can you divide yourself in these two figures? It’s very difficult to be a label owner and a musician and it’s not something I’d recommend. Dealing with artists egos is the biggest headache. I decided two years ago to take more of a back seat. So, I don’t have much to do with the administration of the label anymore – I’m trying to get back to being a musician! Being involved too much in the business side of things is a distraction. We don’t actively look for new acts anymore either. The EM scene is too difficult to bring new acts in to without a lot of hard work on everyone’s part. We concentrate only on the acts who are signed to the label. AD Music is artist run so we really don’t have the time anymore other than to concentrate on our own and associated projects. I try to record one solo album a year plus a Callisto album and a Code Indigo album every two years along with solo, Callisto and Code Indigo concerts. I’m involved with providing music for library compilations, AD compilations and all the labels mastering. I do still have certain administrative duties for AD Music and its Publishing arm FX Media. Basically, I am still responsible for the direction of the label and as one of three partners in the business, I am involved in all major decisions. So you could say I oversee it all. I also negotiate the publishing and licensing. Are there new trends prevailing in electronic music? Influenced by ethnic music or hip hop or trance or anything else? Not that I’m aware of. I think that the old school electronic music audience is dwindling fast and electronic music is now fragmented into so many sub genres that it’s difficult to keep track. I believe that the young prefer the more dance/trance orientated music with a cutting edge that probably wouldn’t appeal to an older audience. There are definitely more ethnic influences in music generally, but that’s to be expected with our 21st Century global society. Electronic Chill Out Music has also come to the fore in recent years. But so many pigeon holes……………. How lively is the british electronic music scene? Who do you think we should follow? Any new real talent? I think the electronic music scene has stagnated and as a consequence, I don’t listen to as much anymore. That must sound awful but being involved in music 24/7, when I do want to listen, I want to listen for pleasure only. So I play Diana Krall, Pink Floyd, Genesis, Frank Sinatra – music i am familiar with and not synth music. If I do want to listen to an EM album I’ll listen to Schulze, Tangerine Dream, Ryuichi Sakamoto, Jarre or Vangelis, occasionally early Kitaro. Of course I am familiar with other UK electronic music aside from who is on AD Music, but probably only Ian Boddy and ARC stand out for me now. This is no disrespect to other UK synth musicians, but I hear very little anymore that touches me personally. Most is too derivative of 70’s & 80 sequencer music and too much of it has no soul or direction, meandering aimlessly in minor chords. But, there may be some great music out there and I’m just not aware of it. Do you know Italy? Do you think we can hope to see you soon for a live performance? I don’t know Italy but I would love to visit one day. I’ve only been once and that was to land and drive to Switzerland. Maybe we can come to Italy if someone asks us? I would love to perform there. I hope to play in Holland and Germany during 2006, so why not Italy? Thank you for your kind answers and I really hope to see you in Italy soon.